Self-executing smart contracts on the blockchain, which are fully automated and irreversible, need to be thoroughly checked before being activated. An error or typo in the smart contract code may have far-reaching (financial) consequences. For this reason, users of these high-risk smart contracts often have them audited by experts before setting them in motion. 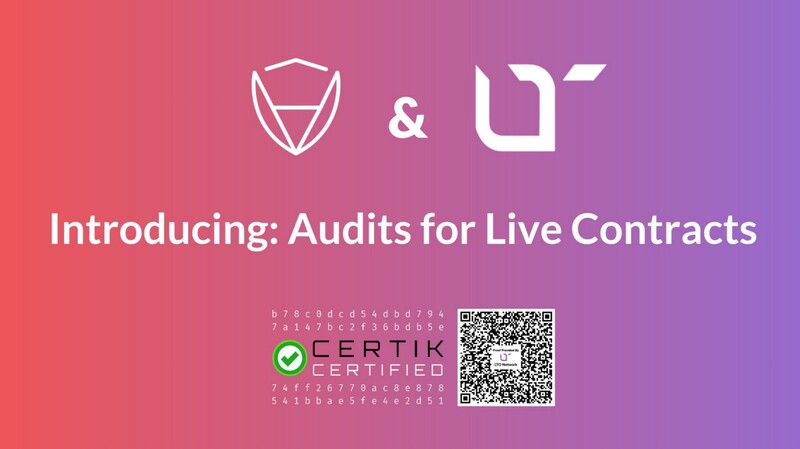 But with new players arising in the blockchain sphere, the world’s most advanced blockchain and smart contract security auditor is now widening their scope of services: Introducing the CertiK x LTO Network Live Contract Audit. The Live Contracts run on LTO Network, the hybrid blockchain platform for decentralized workflows that launched its main net in January 2019. Live Contracts’ miniature private blockchains facilitate the efficient, decentralized streamlining of day-to-day business processes for efficient data exchange between stakeholders in a unique GDPR compliant way. CertiK, acknowledging the necessity of these Live Contracts in the blockchain and business sphere, will be delivering their audit services to LTO Network users in the future to prevent critical attack vectors and vulnerabilities in these Live Contracts. CertiK will be using the LTO Network global public blockchain to anchor the Proof-of-Existence on their smart contract audit reports. Further, CertiK will be auditing plug-and-play and custom Live Contract templates for organizations to easily integrate into their existing systems, unlocking unprecedented standardization of secured collaboration between organizations. The origin of the partnership lays in having combined forces at the Global Legal Hackathon (New York area) in February this year, and end up winning a prize in the competition (3 winners out of nearly 30 teams). 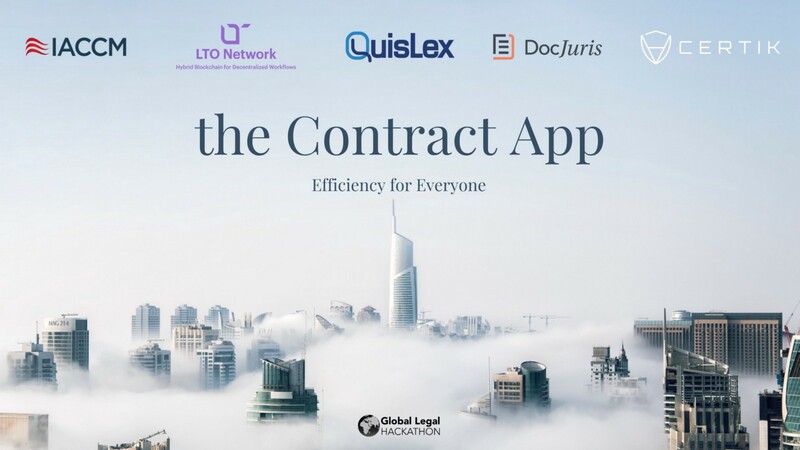 At the hackathon, team members from Quislex, CertiK, the International Association of Contract and Commercial Management (IACCM), DocJuris, a top 10 law firm and LTO Network collaborated on the project ‘the Contract App’. A mobile-based application that allows representatives to easily negotiate B2B contracts based on their companies positions or IACCM’s reasonable positions. Using AI, third party papers can be uploaded and analyzed, reusing the data in the contract into the new agreement. After the concluding and signing of the agreement through DocuSign, The LTO Network blockchain places an instant ‘Proof-of-Existence’ on the agreement which can be independently verified by a third party on the Contract App’s website. With every legal clause in a contract having its own, predefined execution path, Live Contracts can automate these executions, creating an immutable audit trail of events in the process. The official release of the Contract App will be later this year. CertiK is a blockchain, smart contract and live contract verification platform founded by professors from Yale and Columbia University. Expanding upon traditional testing approaches, CertiK utilizes mathematical theorems to objectively prove that source code is hacker-resistant to some of the most critical vulnerabilities. With the mission of raising the of cybersecurity, CertiK is backed by prominent investors, including Binance Labs, Lightspeed, Matrix Partners, and BitMain. To request the audit/verification of your smart contracts, please send email to audit@certik.org or visit certik.org to submit the request. LTO Network is a blockchain toolkit for creating trustless workflows while maintaining data privacy and GDPR compliance. Developers and enterprises can use the LTO toolkit to either create new or integrate existing solutions — and run them in a transparent, secure and decentralized way.